Your Country Mart is more than just a grocery store. Many Country Mart stores offer a full-service, professional florist. So there's no need to make a special trip for flowers or gifts. At Country Mart, we are proud of our friendly service and fresh products, and our floral departments are no exception. When you're looking for a great florist: Oklahoma Country Mart stores offer custom arrangements, advice, and a wide array of seasonal plants and flowers as well as beautiful plants. Your Country Mart florist can prepare the perfect gift bouquet with flowers that are meaningful for your special occasion. We're happy to do special arrangements to your specifications. And your Country Mart florist is always on the lookout for the latest trends in floral design and new products. Depend on Country Mart for your floral needs. 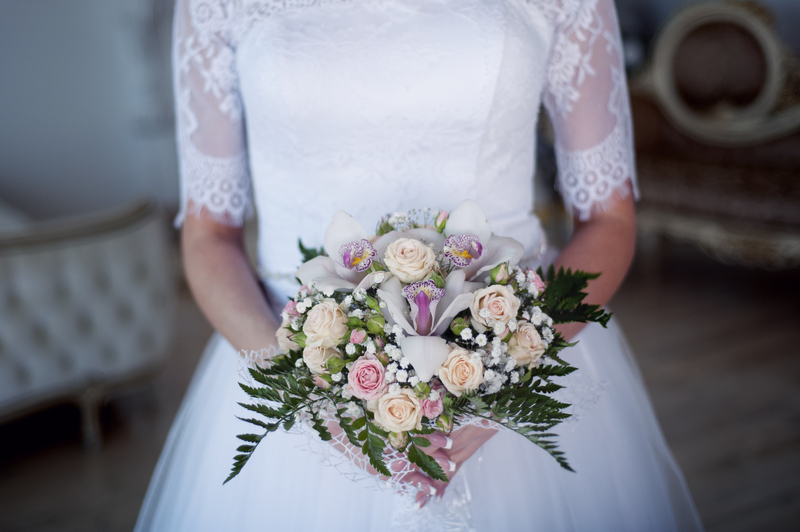 When they're looking for a Wedding Florist, Oklahoma brides have relied on Country Mart for years to assemble the most beautiful bouquets and bridal floral arrangements. The Country Mart Florists located at the stores below will be glad to talk to you about your Wedding Flowers.